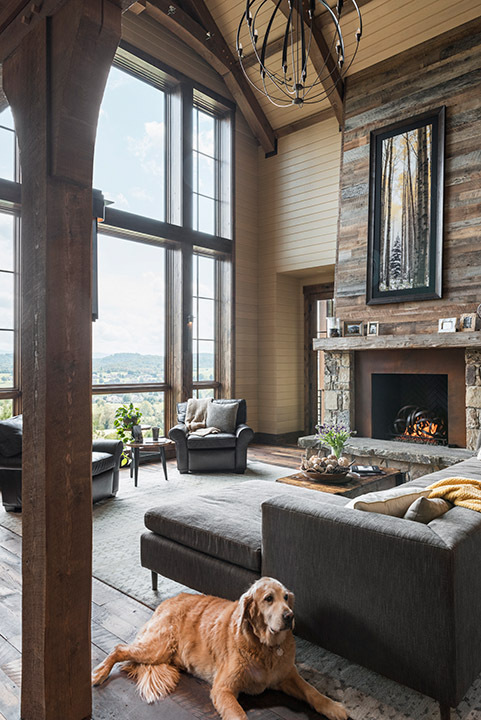 The residents of this East Tennessee Residence wanted a home with a Rocky Mountains aesthetic – rustic textures, heavy timber all grounded with natural stone, but also wanted to marry it with the vernacular of their East Tennessee mountain location. Our clients are a social family of four. Building a new home would give everyone their own private space, but plenty of areas for the family to spend time together and to entertain their extended social circle. 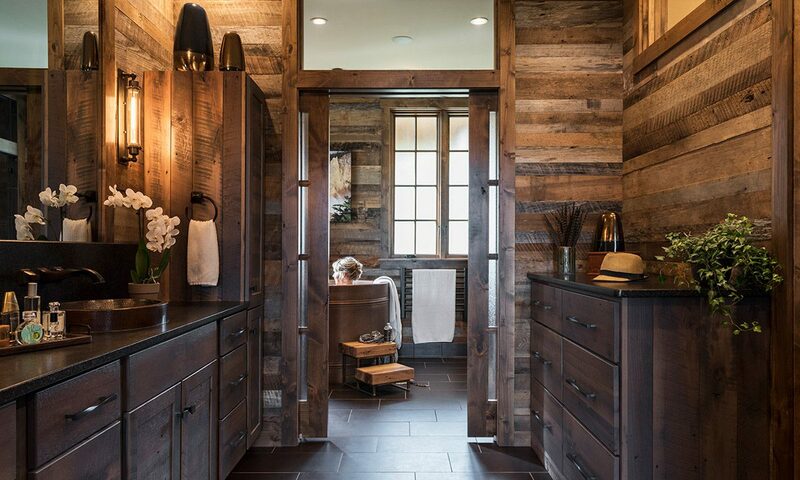 The exterior of the home uses a natural, woodsy palette. 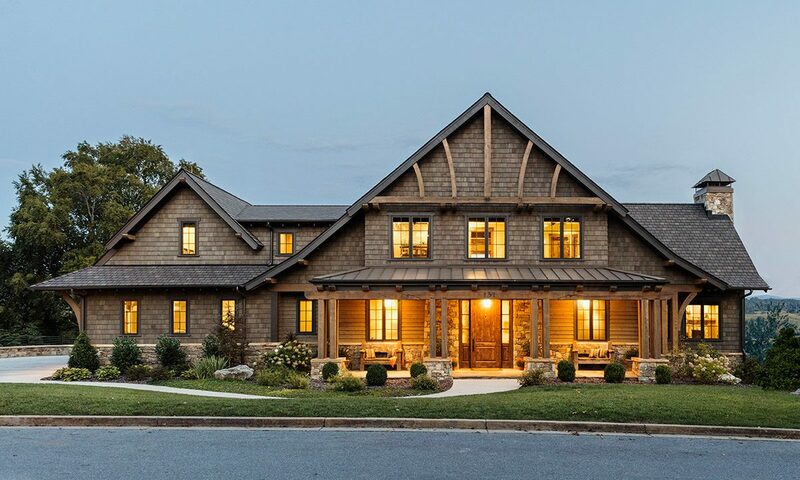 The most striking feature of the home’s exterior are the stunning gable trusses that frame the front and back of the house. 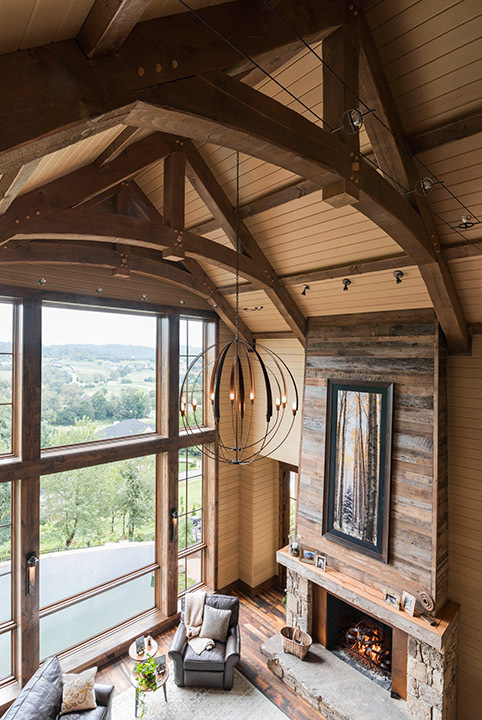 Inside, the timbers are also a prominent feature, like in the vaulted great room. 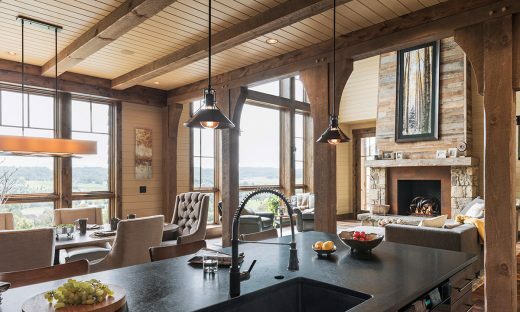 This room is a grand two-story room with a generous window that frames distant mountain views to the back of the house. 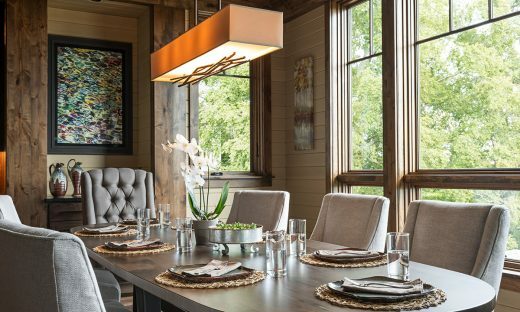 The main level of this home maintains an open feel, but there is a separation between the living room and kitchen and dining areas. 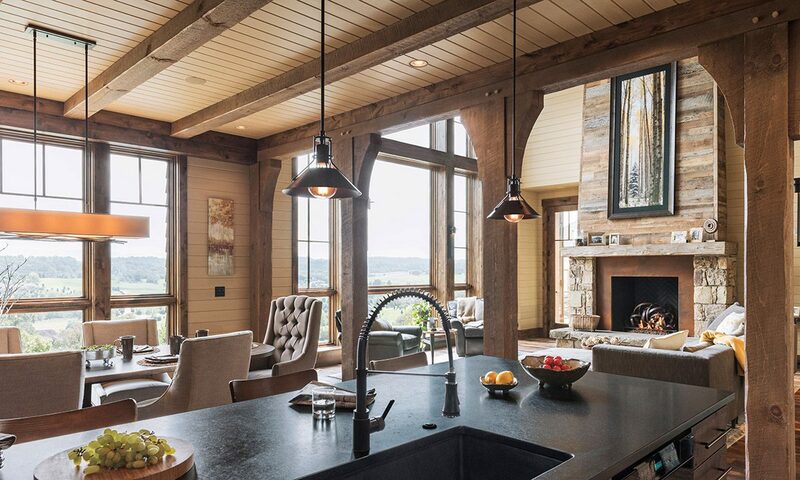 In the kitchen and dining area, the ceiling drops from the great height of the living to make a more intimate space. 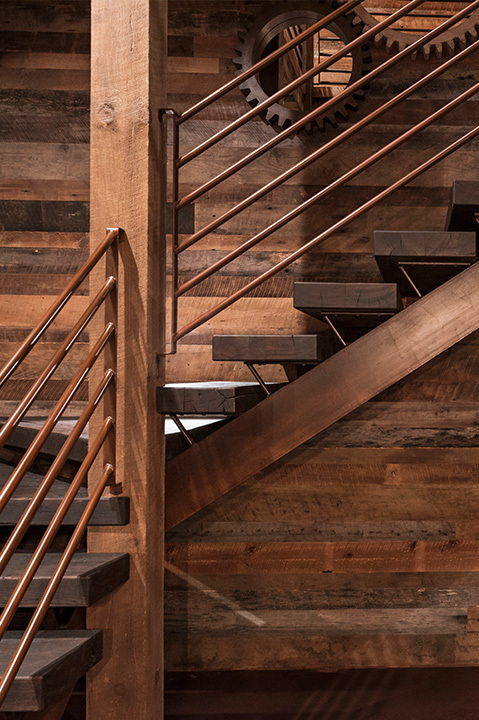 A central stairwell made from oak timbers and custom metal railings sits in the middle of the house and connects all three levels. Upstairs is a catwalk balcony that has a small desk area for the children to do homework or build Legos. Beyond the catwalk is a cozy reading nook that sits in the middle of the sons’ bedrooms. 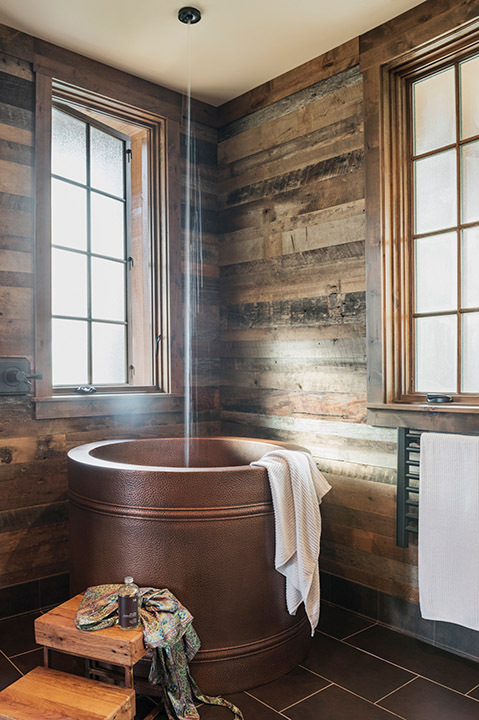 The lower level can be considered the true “fun zone” of an already entertaining house. 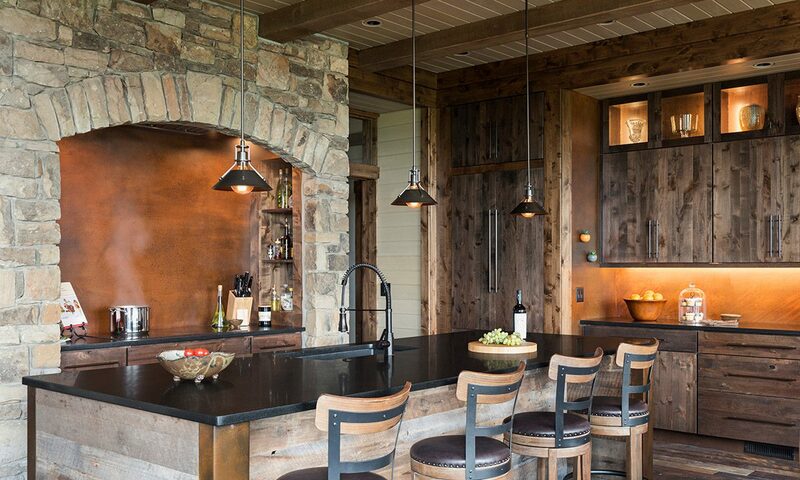 This space incorporates a family den, home theater, bar and wine room, and a golf simulator. 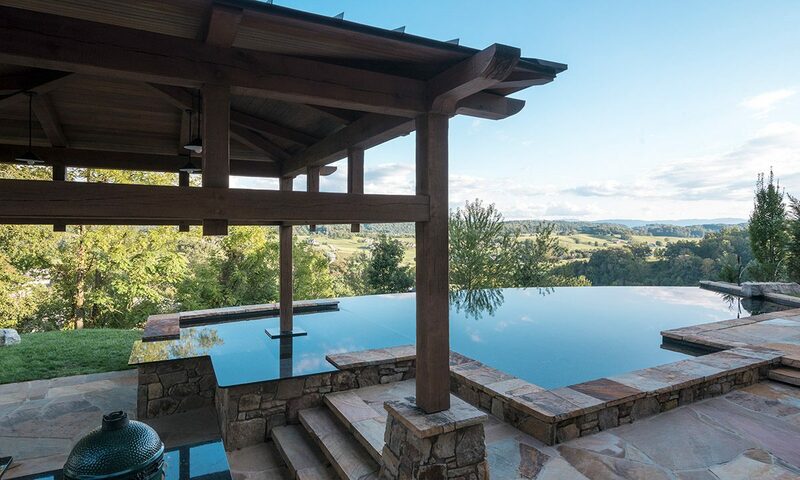 Outside is a custom shaped, infinity-edge pool to fit the topography of the site. The pool uses natural stone to blend in with the house aesthetic. The pool features a large stone diving board and a swim up bar to the outdoor cabana. The cabana features a large flat screen TV on a swivel, so you can watch TV from the pool or from the outdoor kitchen under the cabana.